JHL works closely with each and every customer to build a maintenance package that best fits their individual needs. After winter all properties are in need of a cleanup before the nice weather comes! The spring clean up consists of removing all leaf and woody debris from flowers beds and all turf areas. At this time we address any winter damage that may have occurred. Our crews will remove all debris off site once completed. Customers choose their mulch preference, Natural Brown or Black before our team arrives to install. Our crews create a 3-4’’ natural earth edge around existing planting beds and tree rings. An application of pre-emergent weed control is applied to all mulched areas. We install 2’’ of double shredded premium mulch to prevent excessive mulch build up at base of plants. At this time we also prune back perennial and ornamental grasses. Having a manicured lawn and clean mulch beds is best way to bring curb appeal to your property. We sharpen our blades daily and cut at different heights throughout the season to assure our customers they are getting the best final product. 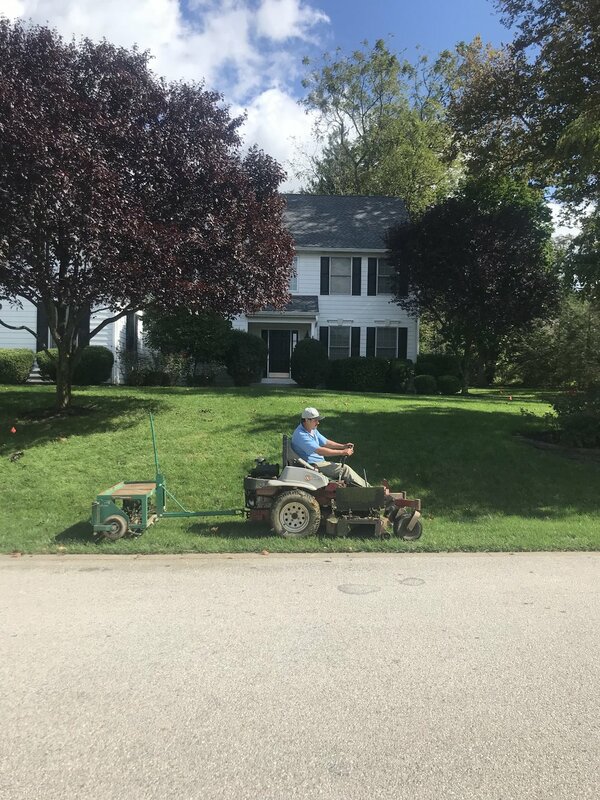 Our crews mow all turf areas within property lines and edge walkways and curbs on a regular basis. All walkways and patios are cleaned of grass clippings. Lawn cutting begins Mid-April (weather pending) and goes until the end of October. Our office uses our judgement and will utilize a 10-14 day mowing cycle when in period of slow growth and drought. 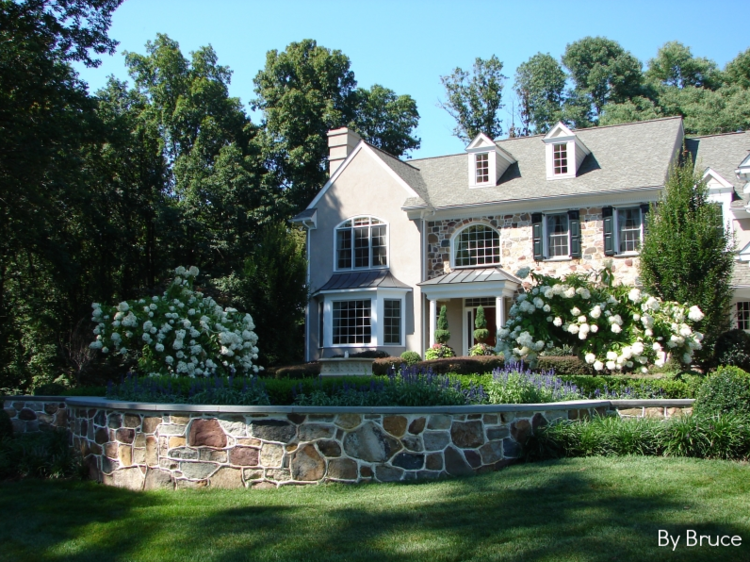 We manage monthly property care of ornamental trees, shrubs, perennials and annuals each month. Removing dead plants, as well as pruning of any week flowers/overgrown tree branches will be completed at this time. Our team will handle weeding either manually or using a chemical application. All of our chemical products are in compliance with state and local regulations. Customers are able to report any concerns to management of their property and they will be handled on a case by case basis for the month . 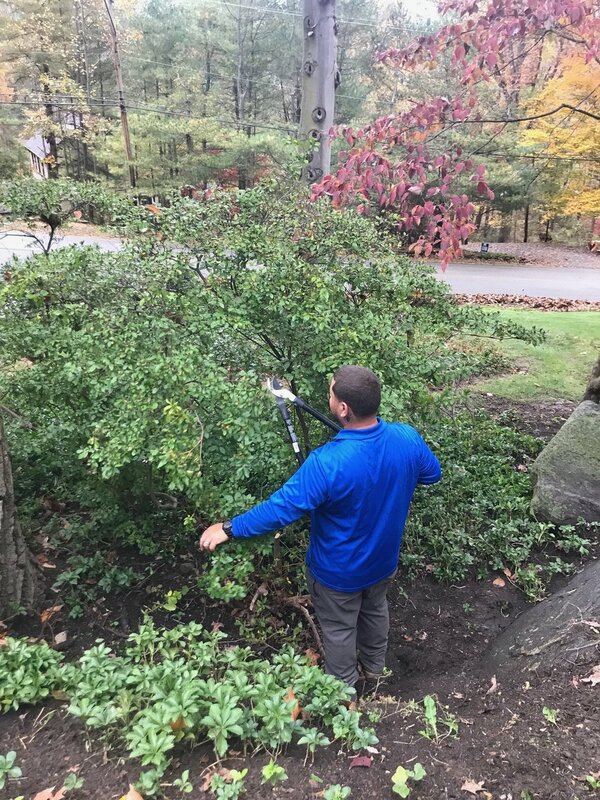 Pruning of all shrubs, ground-cover and ornamental trees on property twice a year is essential for plant health and growth. All shrubs and ornamental trees are assessed on an individual basis and pruned according to their proper season (Spring & Fall). When pruning shrubs it is very important to understand what can be sheared and what can be hand pruned - ensuring your plants are healthy. Clean gutters prevent water leakage issues in your home and bed washouts or erosion. Gutter cleaning is recommended during spring and fall clean up services. Our crew will remove all debris from gutters and downspouts are flushed out at this time. All debris generated during this service will be blown or swept off prior to completion. Fall clean up occurs during the months of October through December. At this time all of the leaves and debris that have accumulated on both your turf and impervious surfaces are cleaned and hauled away. Many of our customers schedule 2-3 fall clean ups throughout this time period to keep their properties clean and ready for winter. Our office staff coordinates pick up dates with your township for curbside collection. If your township does not haul away the leaves our crews will haul them away. In order for a lawn to be healthy and flourish it needs to be cared for as any other living thing. Listed below are the recommended treatments with descriptions and dates of application. Application of post-emergent broad leaf herbicide to control Dandelions, Plantains, Chickweed & Clover. These treatments are timed to prevent warm season weeds. An application of insecticide will be applied to control grubs in the turf. These treatments are timed to prevent cool season weeds.